I took a lot of stuff with me, and most of it got used so I was pretty happy with my packing. I based it on what I took last time I went on a short tour, then on the day I left it was just a case of grabbing stuff and sticking it in the bag. I got mine half price in a sale. This is excellent – kept me dry when cycling all day in the rain, and it’s breathable as advertised. Really useful to be seen more quickly by drivers on fast roads. I wore this a lot – very good for shielding sun from eyes. These replaced the specialized gloves. Not as good fit, or as much padding. You can’t have too many hats! Useful for blogging, google maps, internet and so on.. Useful. Could have done with more or a bigger one. You can turn the top to prevent water leaking out when you’re not using them which is a nice feature. Really useful, e.g. for pitching tent in the dark, or reading in the tent with it’s dim red light. Used a lot and batteries lasted the whole 6 weeks. Handy for all sorts of things. Such as a dish cloth, drying cloth, little flag to tie around your tent line so people don’t trip over it, etc. Alpkit titanium tent pegs – the only bad thing about the laser comp tent is the supplied pegs (which are too small to be practical) so I bought these pegs which have done a great job and are nice and light. 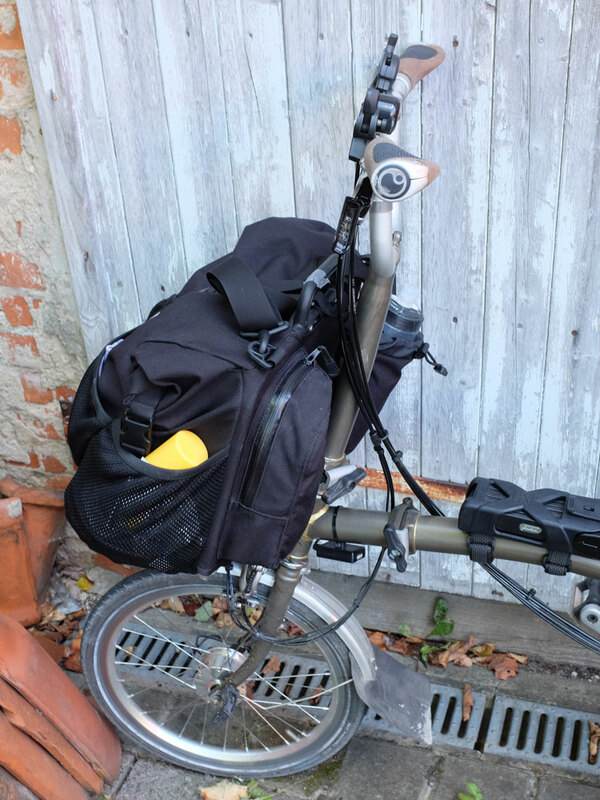 Looks like these are no longer sold by Alpkit. Due to many campsites being built on really hard ground (rock?) pretty much all of these have come back bent. 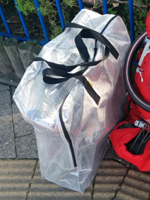 X-treme Light 800 sleeping bag – wasn’t warm enough. Fine for summer use. Also could do with it being a little bit longer. Did the job though. No longer made by Gelert? XPed Synmat UL 7 Medium air bed – did the job but difficult to pack away. Also a bit noisy.. squeaking every time you turn over. This is very rugged and has lots of loops to tie things to. Upper section has two large zipped pockets which helps organisation. Front of rucksack has a large pocket also very useful. I chose this rucksack (which is designed for mountaineering) as you can remove the sternum strap completely. It it also fairly light and quite rigid. Used to keep clean(ish) clothes. Also used as pillow by wrapping my microfibre fleece around this which worked well. These dry sacks are excellent as they let air through, meaning you can squash the bags down to a really small size. Recommended! Used to keep clothes that I’d worn once or twice. Also used inside-out to store wet t-shirts away from dry clothes after doing the laundry and before having had a chance to dry the t-shirts. I’ve had these for years. Super comfy, lightweight and relatively waterproof. Really handy for wearing in the evening when going out to a restaurant etc. Compact, does the job well. Bought on ferry. Works well when wet, unlike matches. I used up 3 in total. Could have done with more, but didn’t see anywhere I could buy one when I needed to. Lightweight and perfect size for storing the gas canisters. I like these a lot. So you can make a filter coffee. Also useful to have this mug for its insulating properties. Used for laundry. Folds down pretty small. Could have probably made do without this. Very comfy. Wore these for cycling for the whole trip. Dry out quickly after rain. Wore these the entire trip. Comfy. Useful pockets. Have just ordered two more pairs for my winter cycling! Brilliant wool t-shirts that look like regular t-shirts. Can be worn many times without getting smelly. Keep you at just the right temperature whether it’s warm or cold. Pack down small. Only downside is you have to air dry them rather than tumble dry. I found 4 designs that were on sale from different places. Well worth the money. Bought whilst out there. Keeps you that bit warmer when it’s chilly, but can also be worn in the full sun and doesn’t make you hot but keeps the sun off. Good purchase. My favourite underwear for cycling. Also dries quick so you can wash at hotels and campsites easily. Didn’t like these. Bad fit and the velcro fastening doesn’t feel secure. Didn’t need to bring them. Didn’t really use these much as I was wearing sandals. Wool, so good for not getting smelly after lots of uses! Could have just work the nike shorts all the time. Excellent for keeping you warm. Good to wear night after night without needing to be washed to frequently. Warm, light, smart-ish, and also used as pillow cover – really useful. Excellent. Bought whilst out there after too many cold nights. These are super warm! Used to remove lots of condensation from tent in the mornings. Dries quickly. Handy for drying clothes at camp site. Suction cups aren’t strong enough though to hold the weight of the washing, e.g. in hotel bathroom, but glad I brought it. Used one as preventative measure on foot for new sandals. Used another to cover a blister I got from the leg-grip seal of the padded shorts. Very welcome at campsites with mosquitoes looking in the grass. Didn’t use. Brought in case I needed skin protection against the wind. Used after I got chafing from bike shorts on thigh. Works really well. Gifted by my friend, very useful as ‘normal’ milk surprisingly difficult to obtain at campsites. Handy for figuring out where the sun will rise to determine where to pitch the tent. Used the knife, corkscrew and bottle opener. For covering the bike up at night. Used to get a wet bike into a hotel. Also used to sit on at muddy campsite. Purchased so I could walk around a town in the pouring rain. Great for recording the ride, seing stats whilst you’re cycling and view a map whilst you’re on the move. Also came in handy for finding nearby campsites. Terrible at picking routes. Weighs a tonne. Stows neatly onto the bike. Did the job. Stows away inside bike frame. 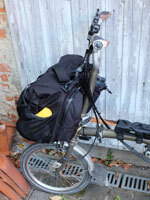 Brompton now make a version of this with metal tyre levers as some people had problems with the old plastic levers. Whilst on my our I used this once to fix someone else’s bike. I’ve detailed the bike set-up separately.